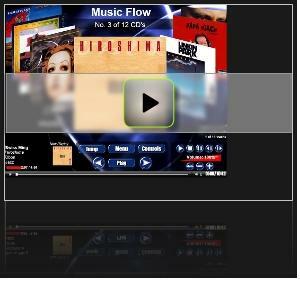 The xLobby online Music and Movie Databases have rescently been updated. The Movie database is updated every Wednesday with the most popular titles. Major imports to the Music and Movie libraries happen about every 1-2 months depending on the content demand. When possible we will post the details here in the news area about any information regarding significant updates or imports to the online database. If there are any titles missing and you want to have us add them, please send a E-Mail request to calradelectronics@calrad.com with the subject line “xLobby Online Database” and we will update the database as soon as possibe. The registered users who have access to there My xLobby accounts can manually add titles to the database anytime, the initial use of this service requires apporval for the first 10 titles to insure proper submissions after that you can continue to add as many tiltles as you want. 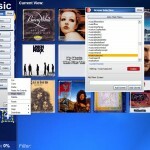 A new release was posted Friday, Ver 3.0.9024.5 in My xLobby + Mantis. Here is some basic information. 1. The generic RS232 full 2 way Service is included in the build, Steven will be posting the details on setting the new service up as well as details on all the features early this week along with the release of the other services, Insteon, Lutron, Russound, UPB. The new folder in xLobby for the service is called Services, xcontroller. The current driver database is RS232 write commands only and will be updated on a regular bassis and will include RS232 drivers with full 2 way communication. The service can perform both read and write functions. This Rs232 service uses xLobbys new service discovery system making it easy for other xLobby machines to easily connect to the service or any service thats available. The basic RS232 Command Group and events are still available for simple access to internal com ports. Here are some screenshots of the GUI. 2. Addition of a new feature called Variables located in the skin tab. This function allows users the ability to drag predefined and reusable variables directly into a menu. The variables are currently fixed and will be expanded further. Future abilities will include creating and deleting your own variables. Click on a variable from the list then drag and drop it on the menu. 3. 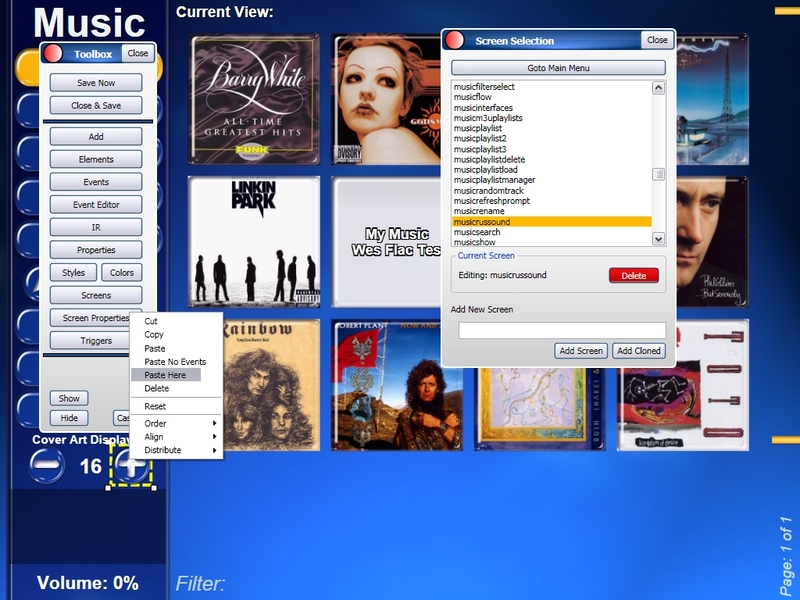 The ability to add WMV videos into the background folder to use as animated backgrounds. Your system should have a video card installed that performs hardware rendering to minamize heavy cpu load. Make sure you have Windows Media Player 11 or above installed or the background will not render. 4. Several minor bug fixes. Previous News post on the other xLobby services. 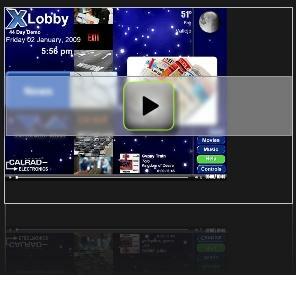 Here is a update on what we are currently working on for xLobby V3 in early 2009. 1. Currently we are finishing the full RS232 interface plugin that will finally provide users with a very powerful 2 way link to any external device making it easy to create your own driver for any product that interfaces via RS232. 2. Large built-in RS232 database with device files from many manufactures for immediate control over any product in there library. 3. Address the ongoing list of Mantis issues based on priority issues. 5. More how to videos on skining and using the many new features in V3. 6. 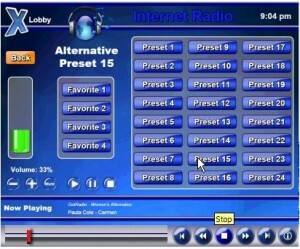 Expose xLobby Services for Russound, Insteon, UPB, Lutron, etc. I will provide an open area on the forum for users to comment on any outstanding issues that really need to be addressed ASAP. 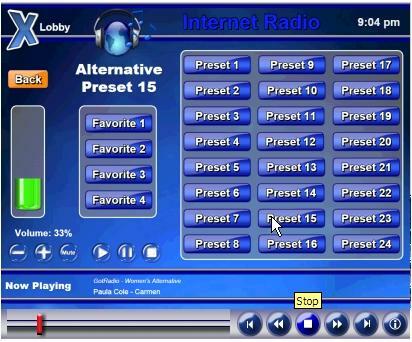 I am designing some new IP radio interfaces with a new IP radio start menu with 24 genres with each genre having 24 preset stations and 4 favorite station buttons. 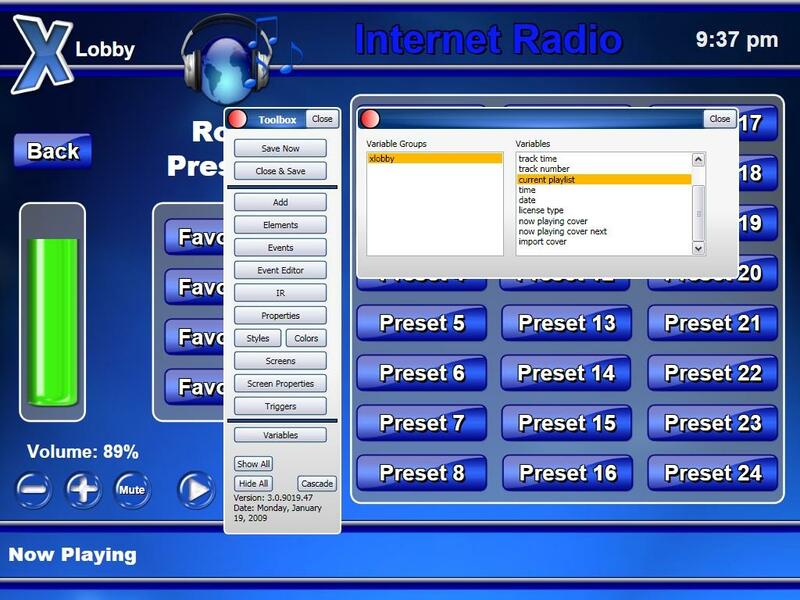 The next step will be for users to be able to just drag a radio station ip address to a button and the station gets stored as well as a simple way for the end user to edit the address manually. Example Flash video of the basic GUI. Some new features and improvements have been added to the next V3 release as well a some bug fixes. 1. The ability to copy and paste a button and not have the events or button id reference copied, (Paste No Events). The standard Paste button when used will still copy all the button attributes (Events and Button ID). 2. Copy any element on a menu and paste the element exactly where ever the mouse cursor is on the screen. 1. When selecting any element on a menu, the event editor events will reflect the event tied to that specific button. This change also makes it easy to modify a buttons events much easier. 2. Protected Import progress menu of any database xLobby uses with improved progress bar. The actual V3 has fluid and clean video playback for the background. xLobby hardware should have and use hardware based video cards in order to reduce CPU usage and provide a clean interface. The videos shown here are not smooth because I rendered this on my older laptop, but this should provide you with the basic concept. You are currently browsing the xlobby news blog archives for January, 2009.